If you want to create simple and classy style that will complete office outfit, you can simply backcomb hair, tie it in a ponytail, twist the tail around the band and then secure the style with bobby pins. If you have a bang you can twist it and backcomb for glamorous look. Center parted hairstyle will also look neat and elegant. In this case too follow the steps to create cute bun up-do. In order to create messy bun hairstyle there is no need to create ponytail and then style bun up-do. All you need is to pull back tresses and pin them with bobby pins. In fact, there are infinite styling options to create cute bun hairstyle, and it is simply impossible to mention all styles. 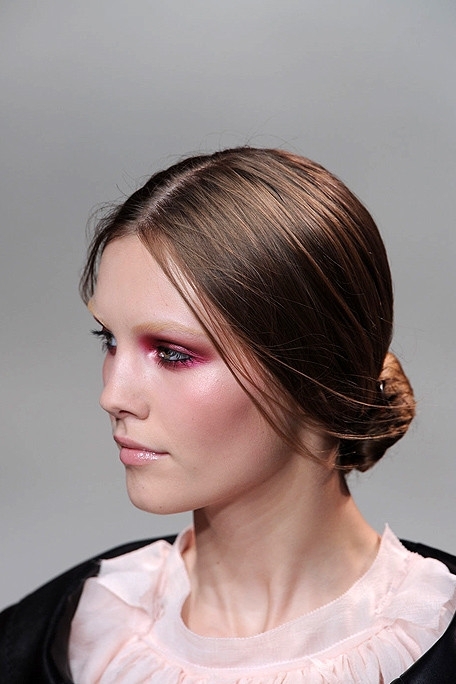 Do not stuck in a rut and experiment with different styles to create eye catching look on any occasion.